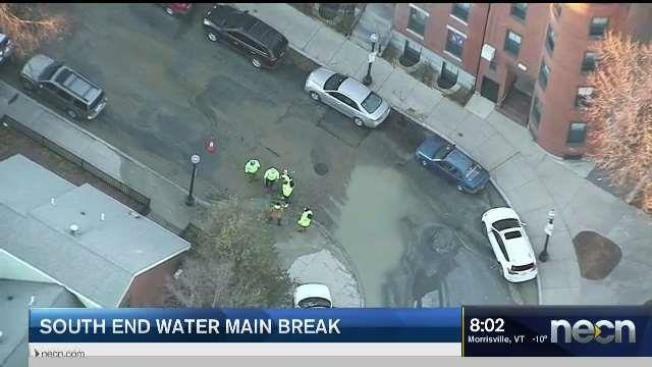 Emergency crews are responding to a water main break in Boston's South End neighborhood. Crews were seen on a partially flooded Newland Street near Shawmut Avenue around 7a.m. Friday.